The psycho circus is on tour, so lock your doors and close your curtains because Rico the Clown is coming to town! 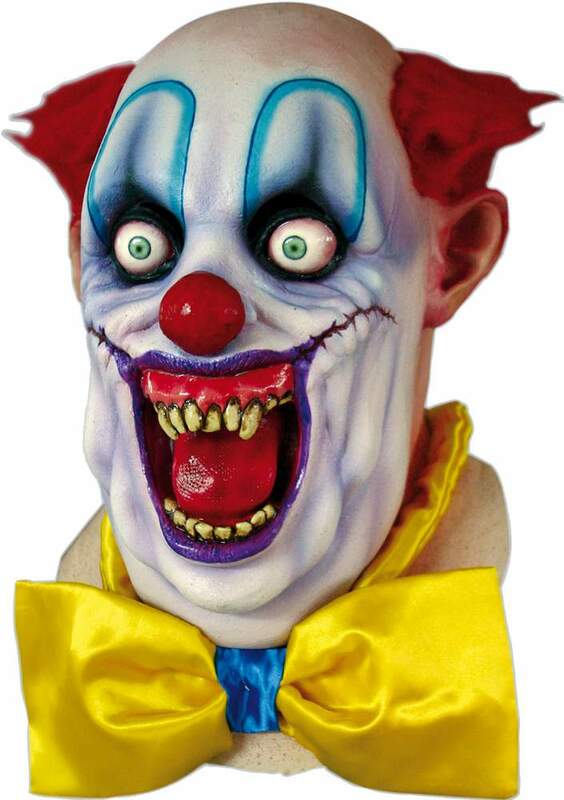 This crazed clown Halloween mask is just stunning! Oversize head features glaring eyes, a fiendish grin, red clown hair, and a big yellow bowtie to finish it off. Fully covers head and neck.